$699 + FREE SHIPPING. Enjoy free shipping on a Monster 8 premium fill olive microsuede, tan microsuede, black microvelvet, or purple microvelvet for a limited time. This special is for oval shaped Saks only. That’s over $400 in instant savings! The deal just doesn’t get any better than this. These are some of our most popular colors, and this price is only good while supplies last. Get one before this rare discount disappears. The Monster 8 is probably the best deal available in the world of furniture. It’s about the length of a full-size couch and 1.5 to 2 times as wide. Considering the fact that you’re getting way more comfort and way more space than your typical sofa offers…and you’re paying about the same as what a cheap, new couch would cost, you’d have to be crazy not to want one! 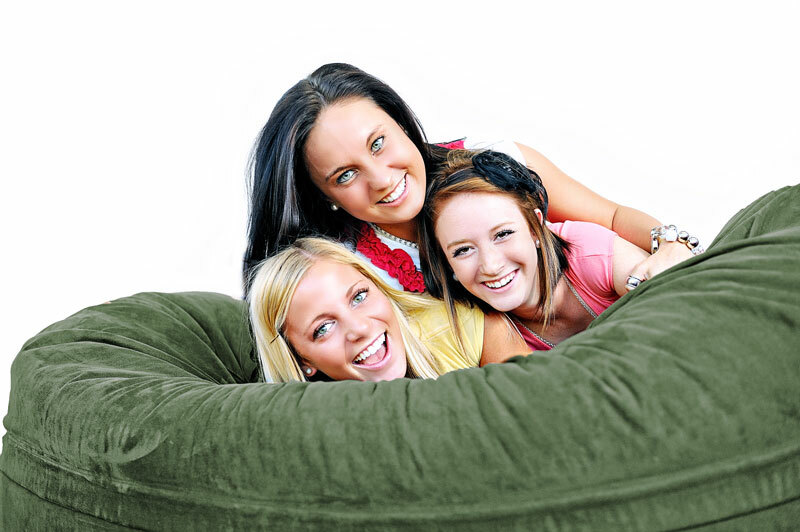 Did we mention that our prices are about 30% less than the cost of a Lovesac and much, much softer??? Make sure you use the dimensions we’ve posted to determine that you do have enough room for the Monster. Filled with a high-grade foam that is far more comfortable than the scrap foam used by competitors. Our premium fill bags are even more plush because we mix our foam with pillow-soft cotton. With the premium fill, imagine about 20 bed pillows mixed in with around 100 pounds of super soft therapeutic mattress foam. Our cotton is a synthetic, non allergenic cotton called polyester fiber (the exact same thing most pillows are made out of). 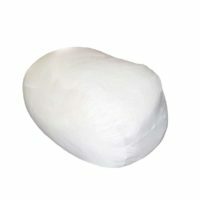 Maintain their luxurious softness and shape longer because they are easier to fluff than any other brand. Designed to last with their double stitched seams, industrial zippers, and microsuede/microplush fabrics. Covers are easy to clean and are even machine washable. Includes: The outer cover, the inner liner, and the pure foam filler. Size: Approximately 90 x 72 x 38 inches oval; 90 x 90 x 46 inches round. Measured at widest points. Variations occur based on how the sak is fluffed and sat on. Fill: You have two comfortable choices for fills: standard or premium. The premium fill is our exclusive cloud stuff goodness that equates to unmatchable comfort. Warranty: We are so confident that you will love your Monster Sak that we offer a 36-month warranty against defects.